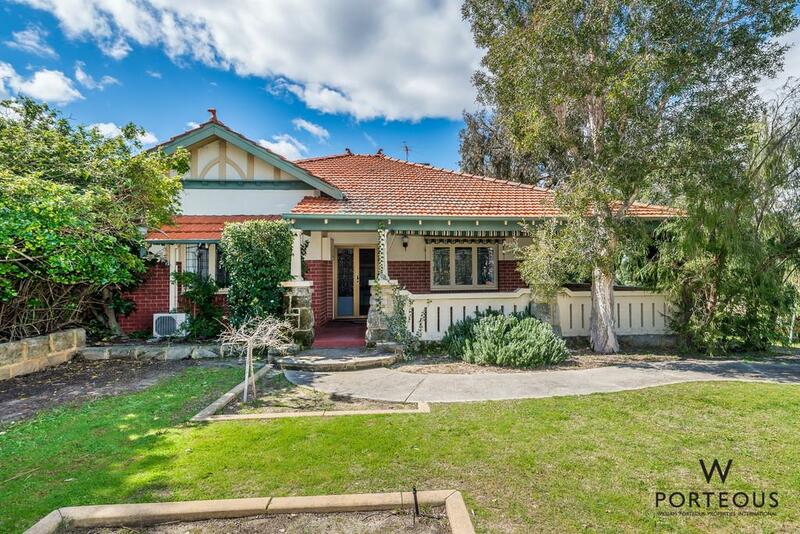 Located in a great part of Nedlands proximate to the new hospital, Hampden Road Caf strip, Kings Park and only minutes from the CBD, you can understand why this part of the Western Suburbs is seeing a surge in growth and popularity. 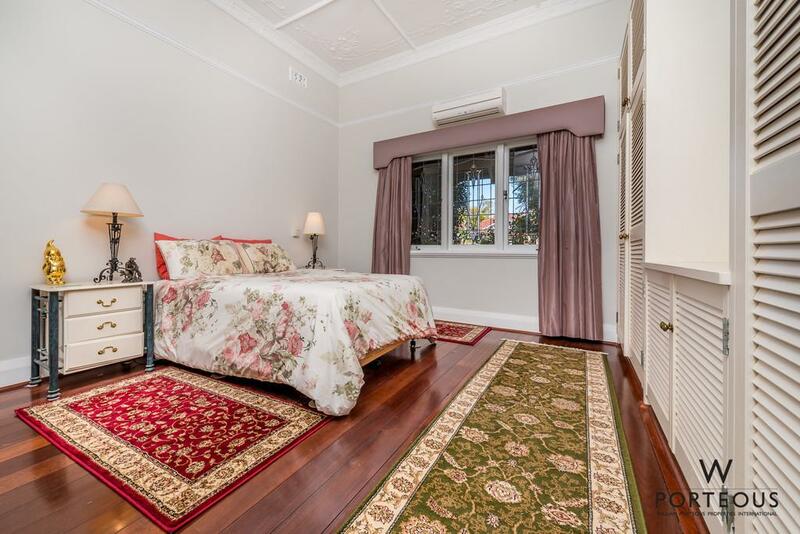 This 3 bedroom plus study, 2 bathroom, 3 car parking fabulous extended and renovated Character home with wide verandas and high ceilings sits well on a slightly elevated 909sqm corner block. The garaging plus additional street parking is off the side street. 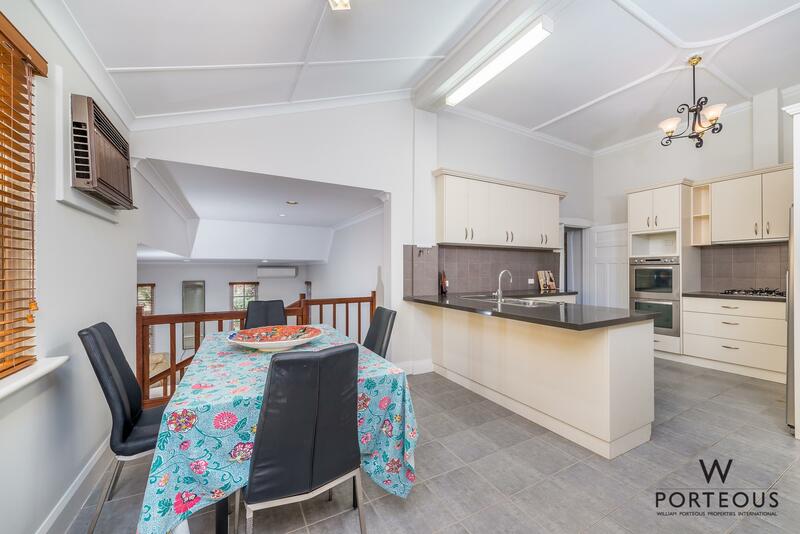 Featuring original character elements, crisp modern bathrooms, a family kitchen and a very sensible and practical floor plan, it is an ideal home for a family looking to move into the area. 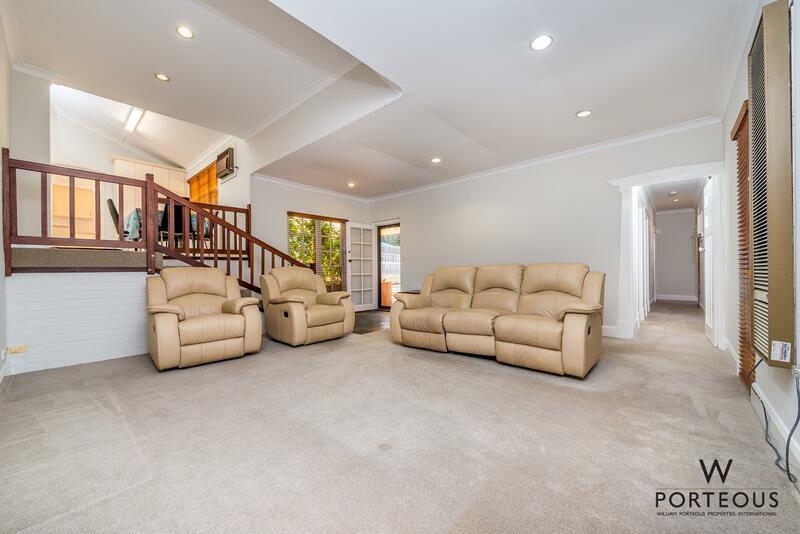 With multiple living spaces and good separation, this property offers great functionality. Brilliant entertaining and leisure spaces will unite your family and friends and offer retreat, in equal measure. 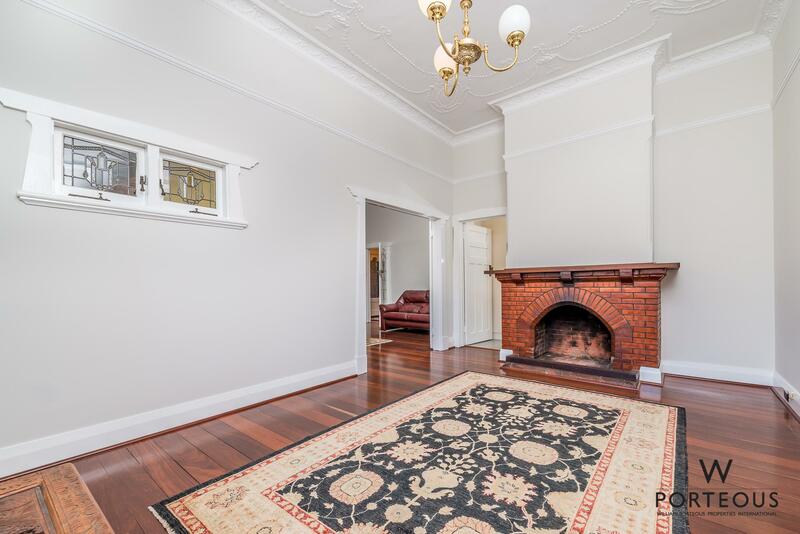 Embed with the enduring charm of yester-year, the original architecture incorporates freshly polished jarrah floorboards, soaring ceilings, picture rails, tuck-pointing and delicate plaster work, all immaculately maintained. One of the charms of the better quality older homes was the generosity of the formal living and dining rooms. 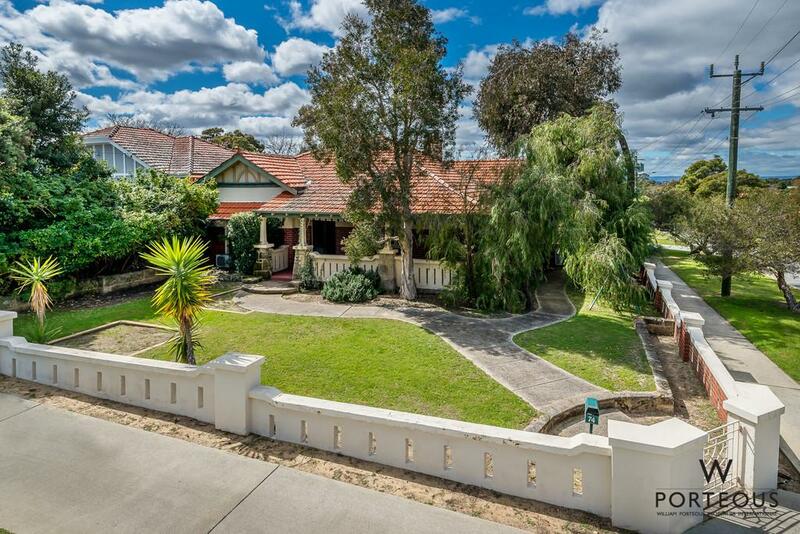 That has been impeccably preserved and worked into how the now extended home functions. 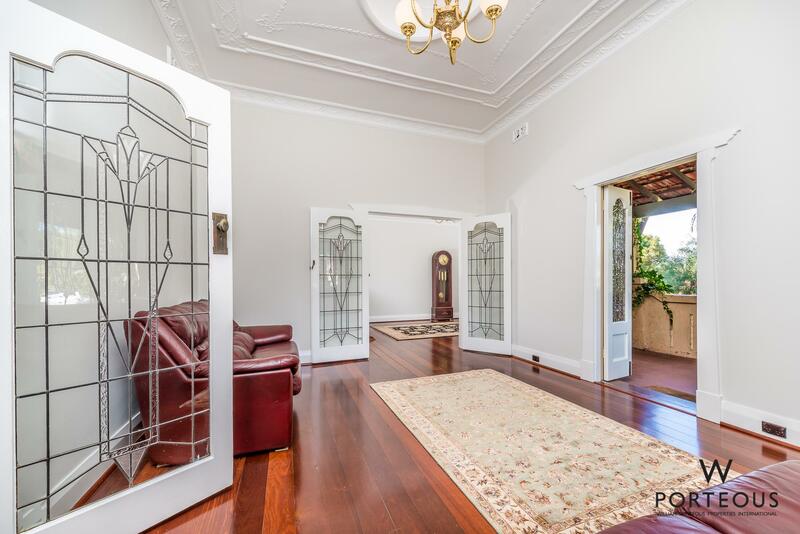 Sunlight streams through the leadlight-filled French doors and windows. Pretty brass pendants, exquisite ceiling details and the inviting fire place offer the picture-perfect setting for any gathering. 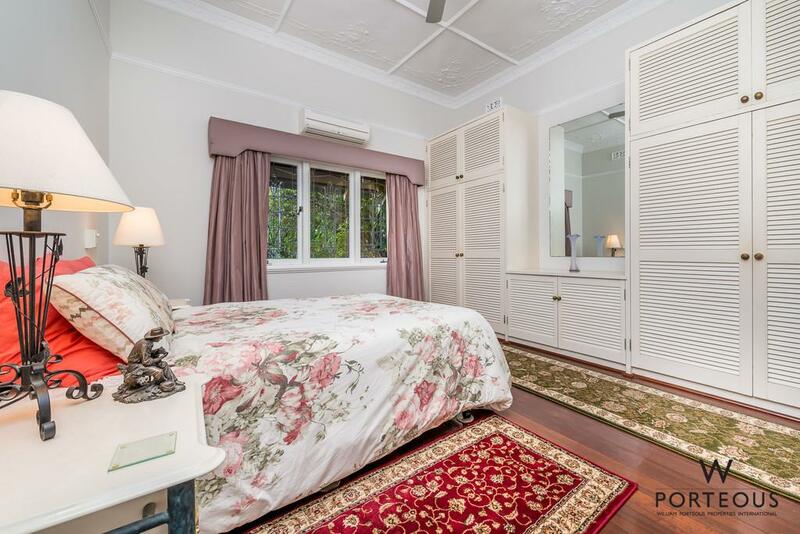 Hallmarks of exquisite character continue in the master bedroom with its peaceful garden aspect enjoyed through a sparkling trio of leadlight windows, dressed in silk curtains. Ample built-in wardrobes, with practical vanity table, will keep your room stylish and uncluttered. 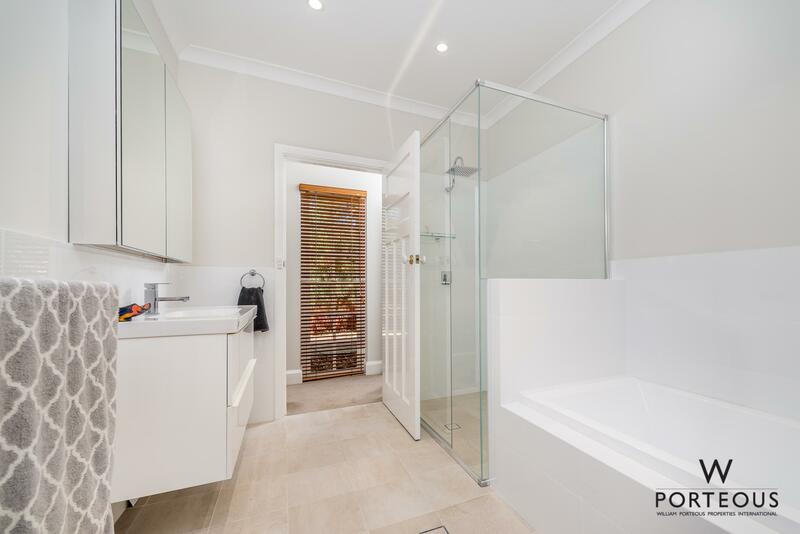 Serviced by a sunlit, renovated bathroom, this adult-zone is ideal. Nearby, a multi-use room filled with custom joinery, desk and hanging space makes a practical study, with additional clothing storage. Located in the central heart of the home, the kitchen overlooks the casual dining and the swimming pool beyond. 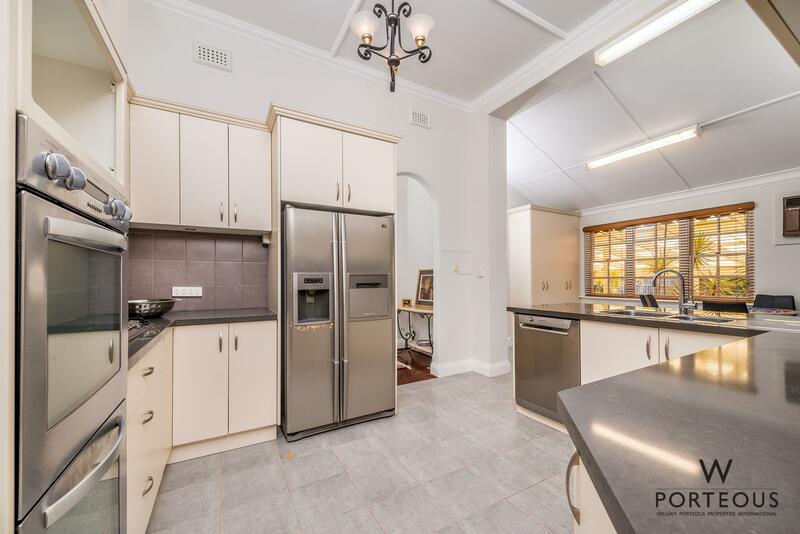 Maintaining generous ceiling heights, this cooking space is consistent with the demands of modern family living with functional charcoal stone benchtops, a multitude of storage options, stainless steel appliances and breakfast bar seating. 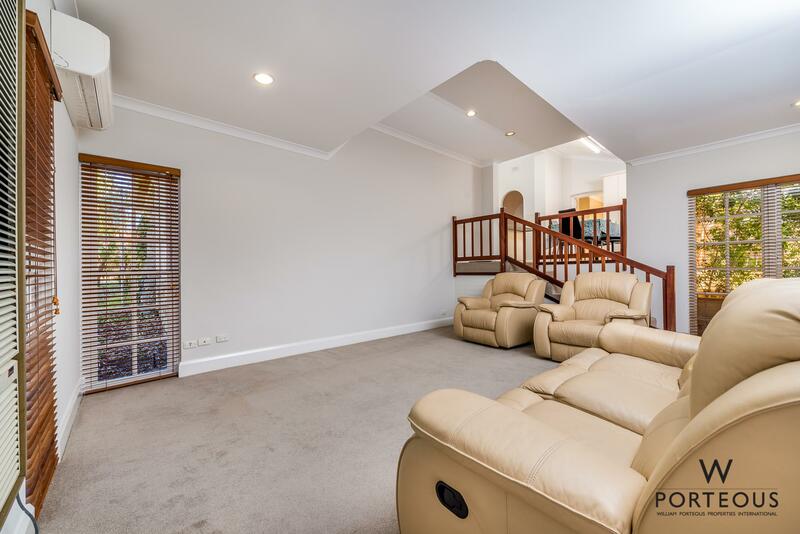 With excellent connectivity to the kitchen, the spacious sunken family room, brings another practical, large and inviting living space. 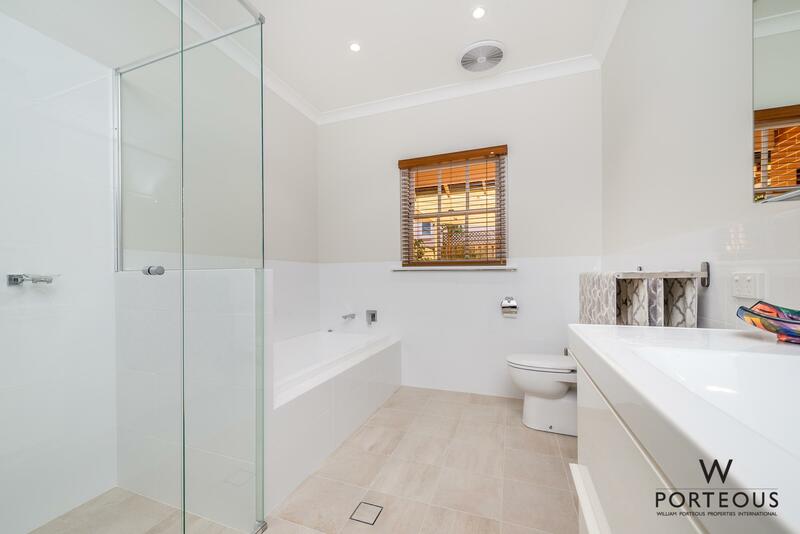 This connects down the sunlit hall to the newly-renovated family bathroom enjoying every modern convenience. This bathroom services two queen-sized bedrooms both with extensive built-in robes and windows looking into the courtyard and pool. This wing will see your kids through every stage of school and into young adulthood. The layout works equally well for grandchildren sleepovers or visitors. 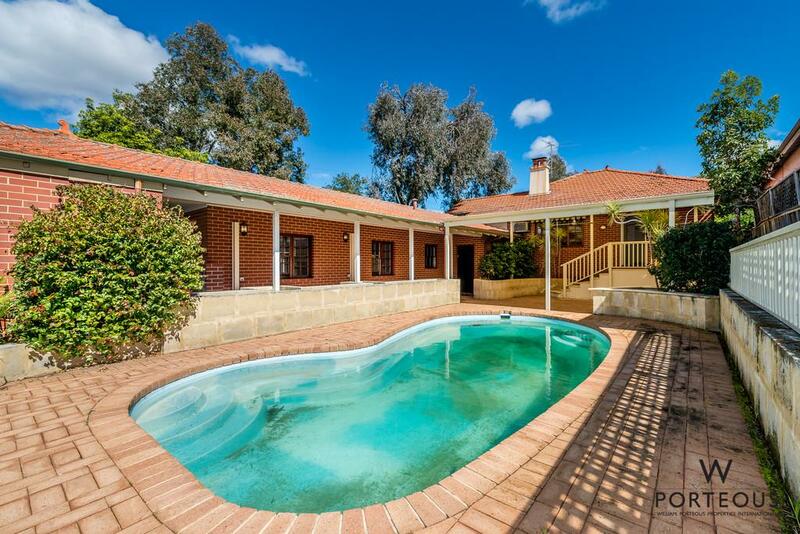 In the summer months, the large salt-water fibreglass pool is sure to become the centre of family fun. 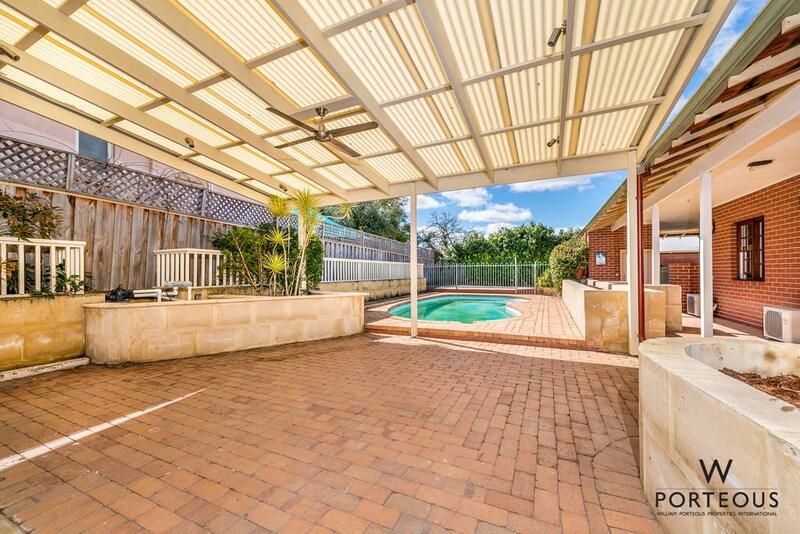 Positioned to drink in the northern sunshine with practical paved surrounds, it is a low maintenance/high fun zone. The protected, sunny, private alfresco area, fitted outdoor lights and ceiling fan, offers abundant space for large gatherings but also a fabulous area to quietly read a book or catch up on news. Timeless red-brick improvements are complemented by limestone-retained garden beds, freshly mulched and ready to fill with your edible garden or attractive plantings. The generosity of space allows for easy future enhancement, such as the addition of an outdoor kitchen. The spacious corner block offers easy-care garden surrounds, with lawn and established natives bringing shade and privacy to the wrap-around front veranda. There are wonderful play spaces and areas for a green thumb to establish and more extensive garden, if desired. 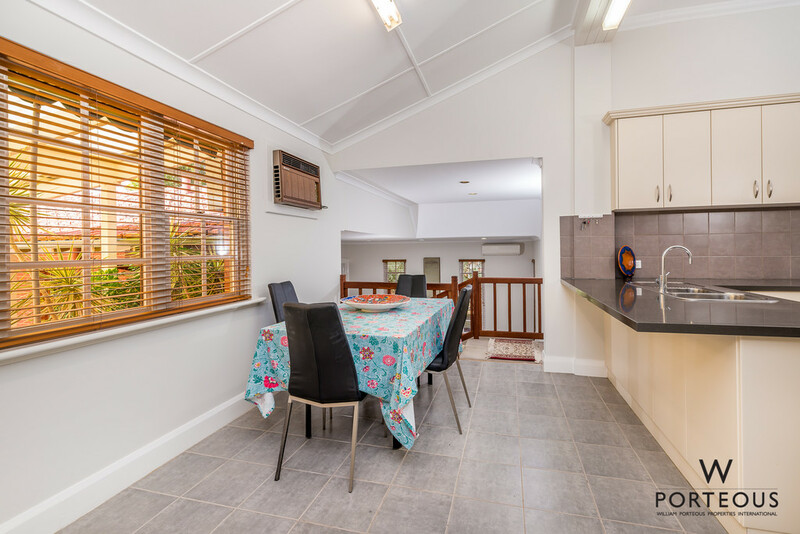 A double carport, lockable space for a third car or boat, plus ample off-street parking off Park Street add great value. With ample space, there is potential-plus for additional improvements to the backyard, consistent with your family’s needs. 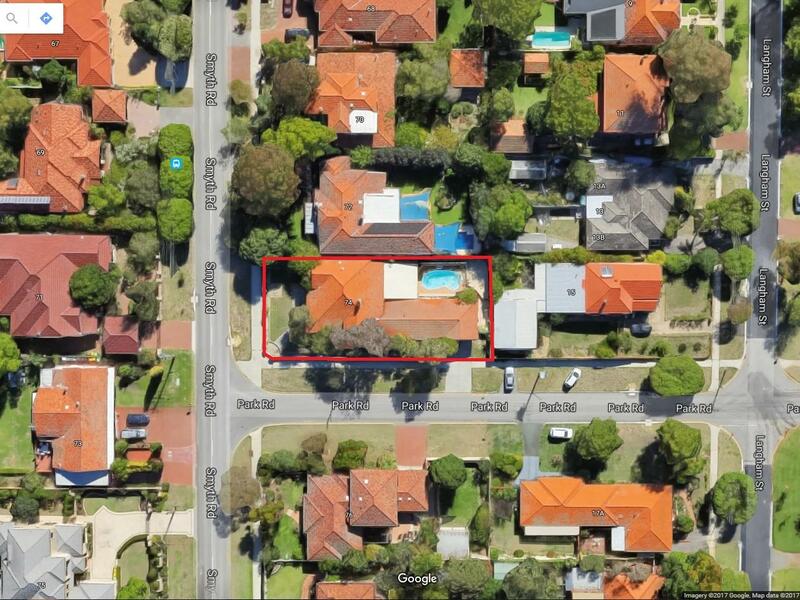 The convenient location of this home cannot be overemphasised. Hollywood Primary, Shenton College and UWA are all super close, as well as Nedlands caf strip, Claremont Quarter, Matilda Bay and Subiaco. 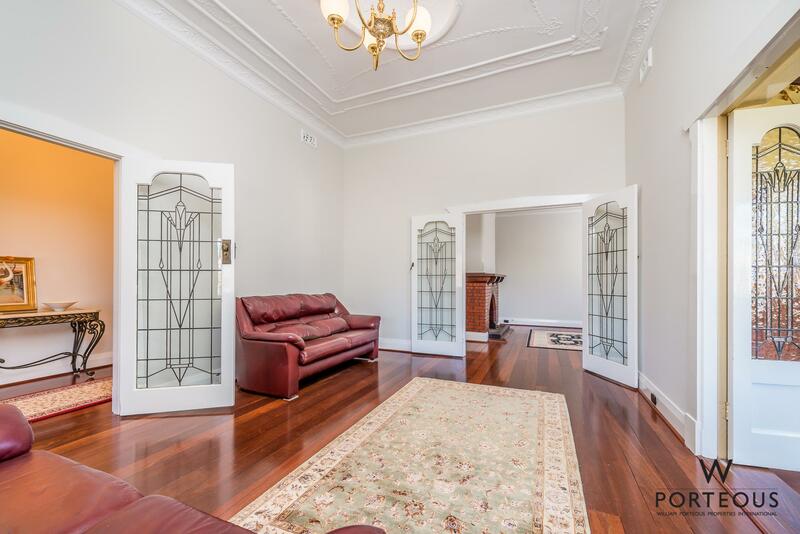 With public transport aplenty, you will have an easy commute to the CBD and are surrounded by the best medical services in the State. We are confident everything about this complete home will enhance your family life and make it a desirable purchase for many, so don’t delay – get in as soon as you can and claim the prize!